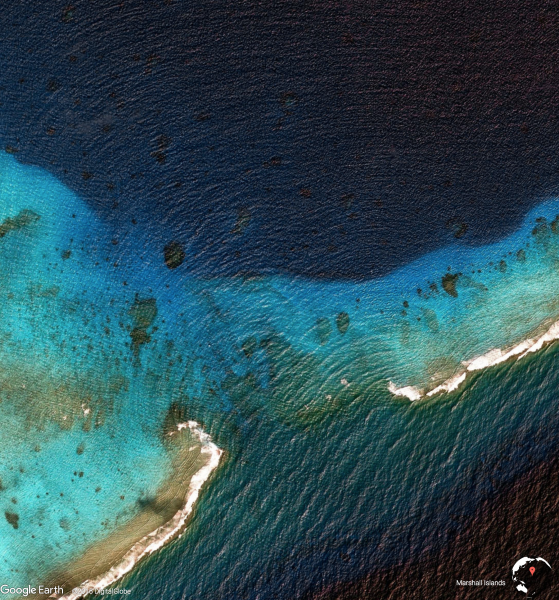 In the middle of the Pacific Ocean, about halfway between Hawaii and Australia, lie the Marshall Islands. The Republic of the Marshall Island’s is spread out over 29 coral atolls, made up of over 1,000 individual islands and islets. 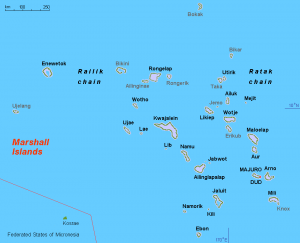 Technically part of Micronesia, history buffs will recognize the Marshall Islands campaign from World War II. The turquoise waters and white sand beaches of the Marshall Islands are also infamous for nuclear testing sites such as the Bikini Atoll. On one of 1,000+ islands, sits the U.S. Army Kwajalein Atoll/Kwajalein Missile Range (USAKA/KMR) and on the Kwajalein base sits a range of Technomad products. The Technomad collection is perched on the roof of a three-story building and where the Berlin loudspeakers and PowerChiton amplifiers broadcast sound over a 1 mile by 0.5 mile radius. 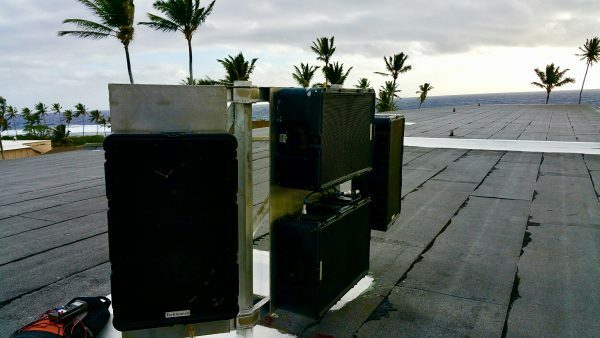 The system which ran uninterrupted for more than 7 years, withstanding heavy wind, salt spray, and everything else the tropical environs throw its way, was upgraded in early 2018. Even after 7+ years you can see minimal rust and no structural damage on the Technomad Berlin despite years spent in one of the world’s most extreme environments. Looking for a weather-proof audio solution for your next installation? 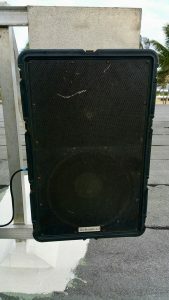 Since 1994 Technomad has been manufacturing high-fidelity, IP56 weatherproof loudspeakers and rugged, reliable outdoor speaker systems for a wide range of clients. At Technomad, we combine proprietary weatherproofing and rainproof technology with military-specification enclosures and first-rate loudspeaker drivers to produce best in class solutions for any sound application.